The Dollar posted it’s best weak of the year so far after receiving support from Yellen and the BLS Jobs Report. Welcome to the 54th Edition of MacroView. Every week we review memorable macroeconomic events and preview what to expect from the week ahead. DXY closed about 0.15% higher, which is the first green week for the Dollar. This small gain being noteworthy just underlines how strong the selling has been lately. While the fall in the Dollar was accompanied by a strong rise in Treasury yields, the sell-off finally halted this week and the greenback began to catch up with yields again. The fall of the Dollar has surprised many amid rising inflation expectations and overall positive signals from the US-economy. 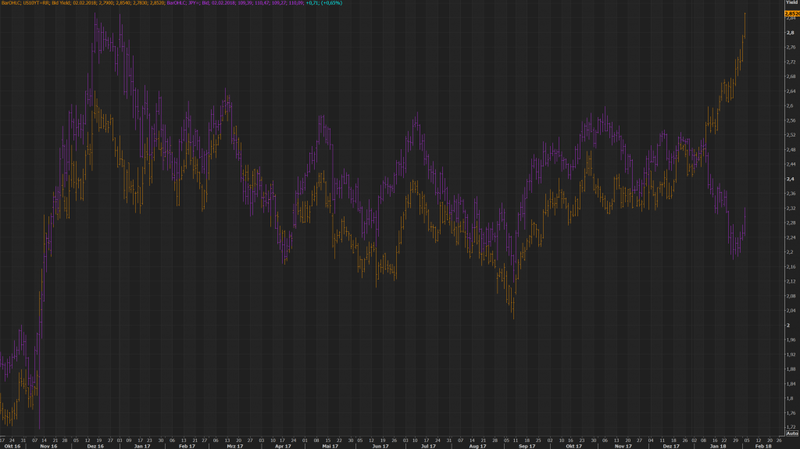 The Dollar has still a long way to go in order to catch up with yields. On Wednesday, Yellen held her last FOMC Statement. She will be replaced by Jerome Powell on Monday. She confirmed the strengthening economy and was overall positive that long-term yields would begin to rise along with higher inflation expectations this spring. The Fed continues to expect three more rate hikes this year. Yellen said, they expect “further gradual” interest rate hikes, something analysts interpreted as an intention to open the door for a potential fourth hike this year. 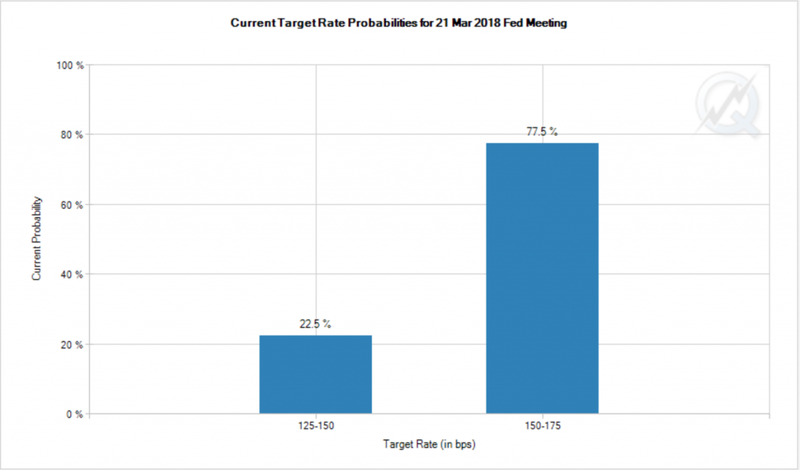 Currently, Futures price in a 78% probability for a rate hike in March. The pace of further hikes thereafter remains unclear though. The May meeting has about the same probability as March, but beyond the market is still undecided. Thus, we can expect further high market sensitivity on any inflation-related market indicator that could shift the market expectations one way or another. Yellen’s slightly hawkish comments marked the bottom of the Dollar for the week and it continued to rally thereafter. 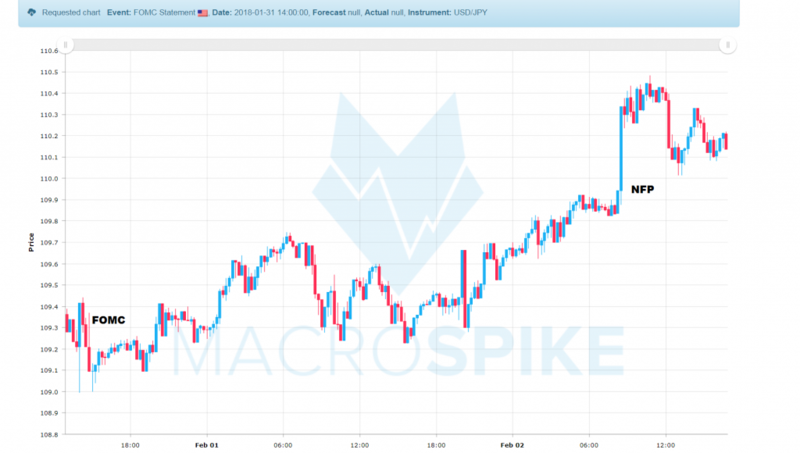 The Dollar also received support from positive Jobs data on Friday. The BLS reported a total of 200k jobs for January. Average hourly Earnings bounced back to 0.3%, after having dropped to 0.2% in December. Next week will be light on US news: The only major event will be ISM Non-Manufacturing PMI. We expect the Dollar bounce to continue as it catches up with yields. The biggest news event of upcoming the week will likely be the Canadian Employment Data, that is due on Friday. After last months stellar growth of 78k, mean expectations is for only 10k this time. The Loonie has been extremely sensitive to news. This is due to the BoC’s strong data-dependancy that has been repeatedly confirmed by Governor Poloz. We’ll start with Australia on Monday night. The RBA is widely expected to keep rates on hold. Of the 48 analysts polled by Reuters, 47 expect no change. The majority predicts the central bank to wait until the third quarter of next year to start hiking again. Last weeks CPI supports the thesis that the Australian economy still needs time to get back on the inflation path. Trimmed Mean CPI came in 0.4% Q/Q, 0.1% lower than expected. 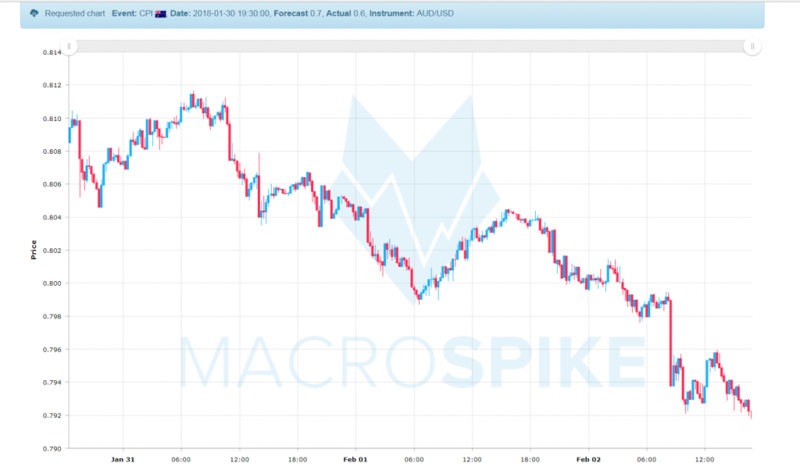 The Aussie lost 40 pips on the initial reaction and continued to drift lower over the course of the week. It ended up 180 pips lower than prior to the CPI. We are also expecting the Bank of England’s rate decision. The recent UK data has been better than expected by the central bank. Governor Carney said on Tuesday, there is little slack remaining in the economy and the central bank will focus on bringing down inflation. This can be seen as an indicator for additional rate hikes. While most analysts expect the central bank to hike in the second half of 2018, some see it could happen as early as May. Nobody expects a move in rates on the upcoming meeting, but three analysts see at least 1 MPC member shifting from unchanged to hike. At the last meeting all 9 members opted for no change. We will keep an eye on that as it could be an early for the central bank to move it’s stance. In addition, the BoE will release their quarterly Inflation Report. With inflation being the main agenda of the central bank, this has the potential to provide reasonable volatility in both Sterling and Gilts. The Mexican central bank is expected to hike rates one more time on Thursday. 18 of 21 analysts see the central bank hiking to a 9 year high of 7.5% in order to curb with inflation. While the central bank said they are confident to reach their inflation target by year-end, most analysts doubt this. In addition, we expect the Russian central bank to lower rates by 25 bp to 7.5%. Of the 14 analysts polled by Reuters, 12 expect a cut while 2 think they keep rates on hold. Lastly, there will be an interest rate announcement by the RBNZ. The central bank is not expected to change rates this year. this will likely be a non-event. That’s it from us this week. Enjoy the remaining part of the weekend and have a successful start into the next trading week.